With all of this wacky weather, I am beginning to wonder when it will actually feel like Spring. Yesterday, we received a late April Fools joke from Mother Nature.. 2 inches of snow!? And today it is pouring rain. My first outdoor family session of the year is in a little over one week so I am praying the weather changes by then! If you have young children at home, you will understand that it can be a struggle sometimes to keep them entertained on a rainy day. We have been running out of ideas at our house. So, last week, my son and I headed to Hobby Lobby in hopes of finding a new craft we could work on inside. After making our way past all the things he wanted to hold or look at (I forgot how memorizing this place is to little kids!) we found some new acrylic paints and rocks! I knew he would love to paint rocks! Art seems to be Bodhi's thing. He loves painting, music, dancing, everything art. 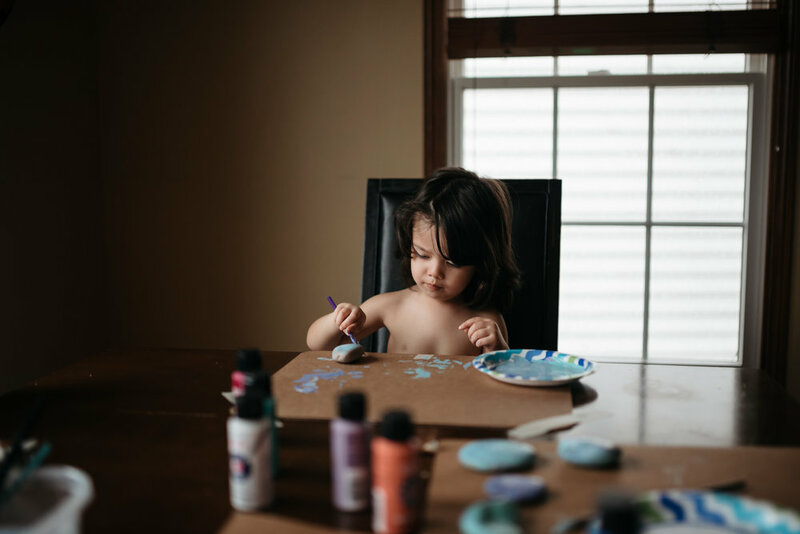 When I asked if he wanted to make some art last week as the rain poured down outside, he was SO excited and immediately ran to the kitchen table as I prepped everything. He absolutely loved painting the rocks and mixing all the colors of paint together and shouted at me across the kitchen, "Look, Mom! Bodhi doing art!". I was relieved that painting the rocks was a hit.. even if he only wanted to paint for about 20 minutes! 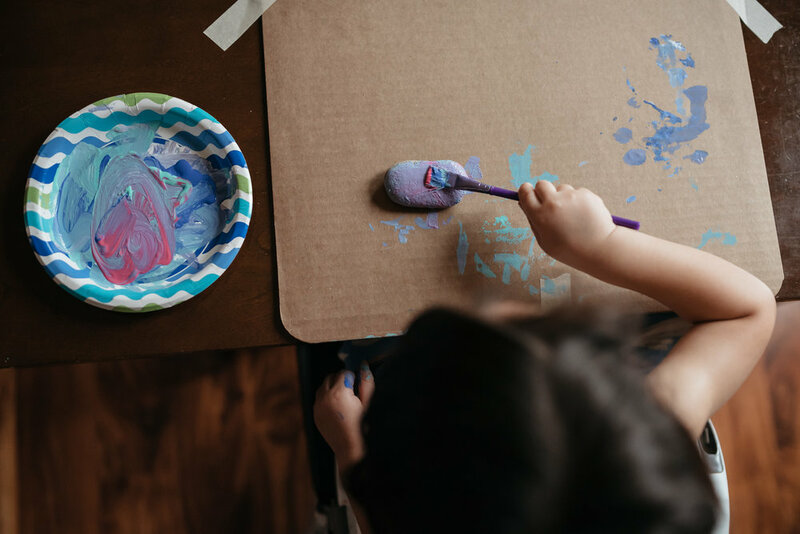 What are some of your favorite indoor activities to keep your kids entertained?